This tutorial explains the setup of an development environment for building the iDempiere project. 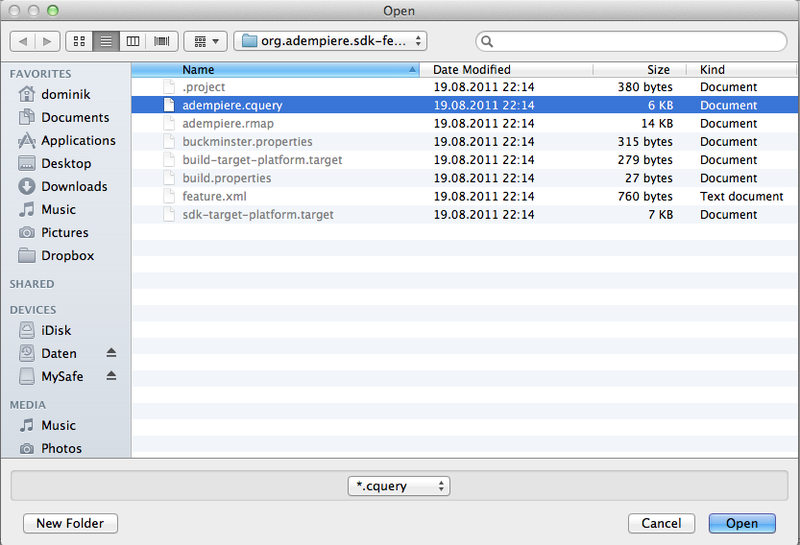 First download a the newest Helios(3.6) version of Eclipse. Be careful Helios is not the newest version of Eclipse but you need the newest version of Helios 3.6.2.x. 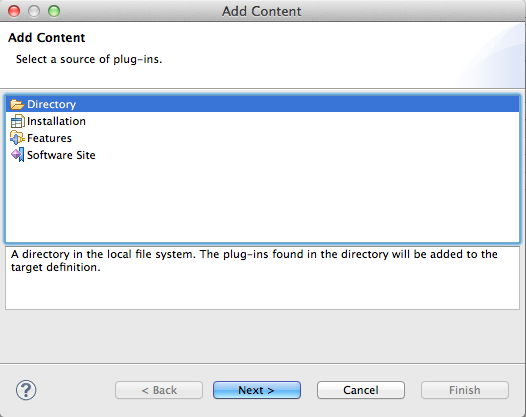 Now start Eclipse and install the following plugins. 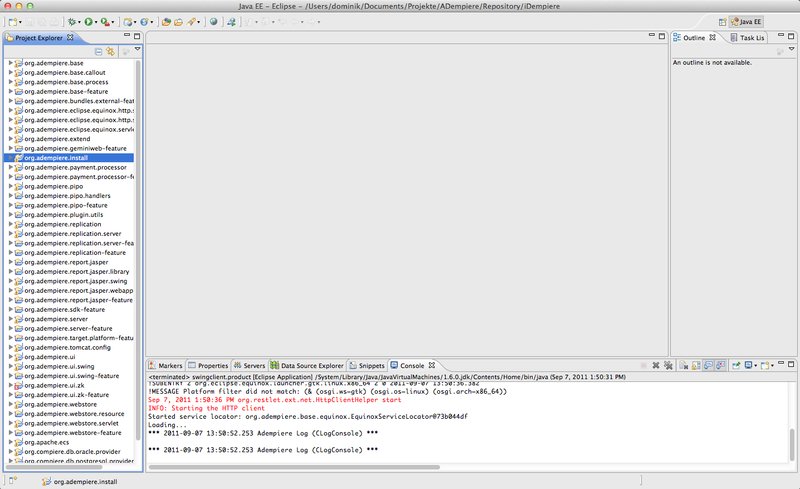 I just tested this tutorial with Java 1.7.0 and Eclipse Kepler SP2 (4.3) on my Mac Book and it worked like a charm. For all who are using the new Eclipse release this is possible, too. 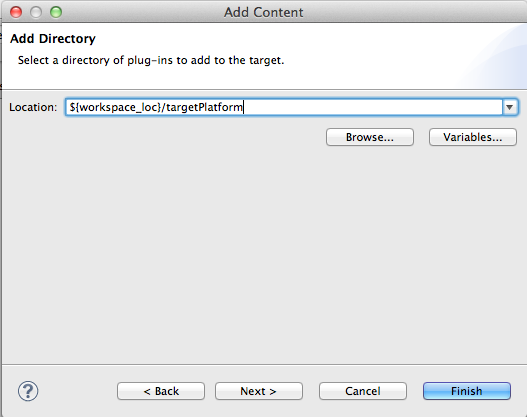 This new created directory needs to be your workspace in Eclipse. You can select this at startup of Eclipse. 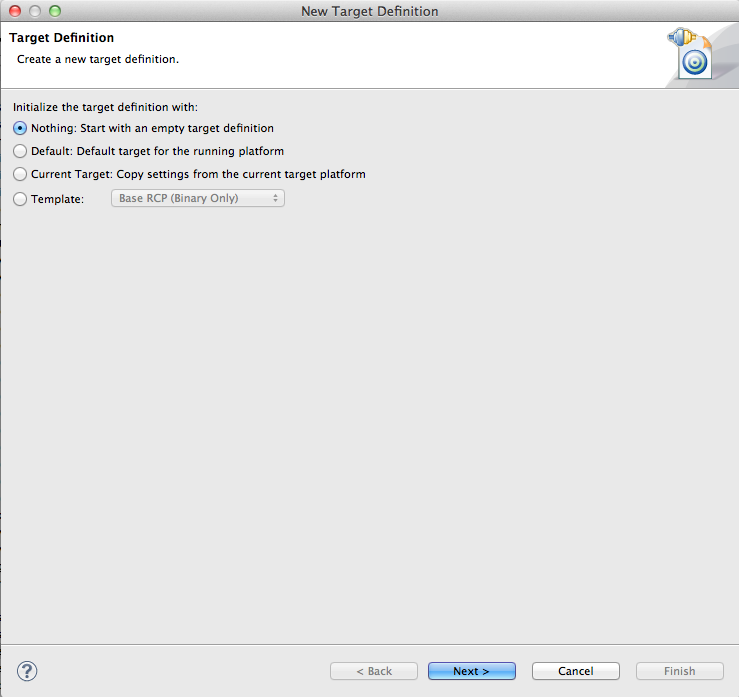 Create a new target platform in the Eclipse preferences. 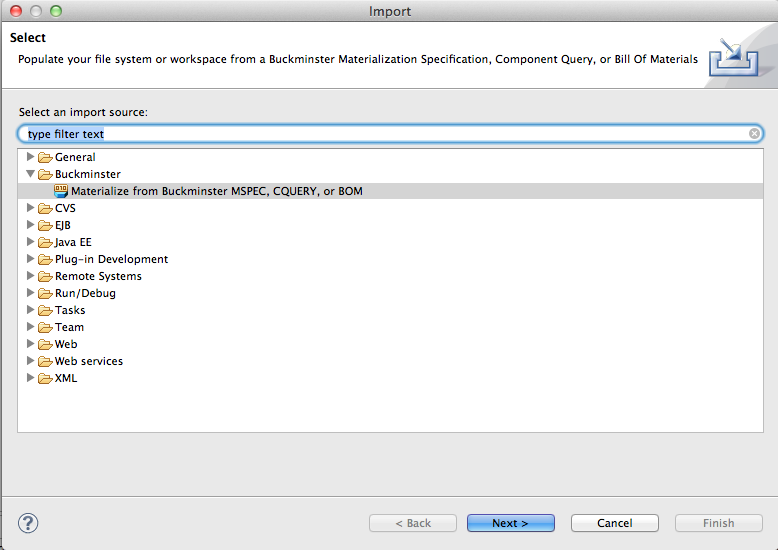 Close the preferences window if you are done and right click into the project explorer and click import. And click Finish to start the process. This takes a while. 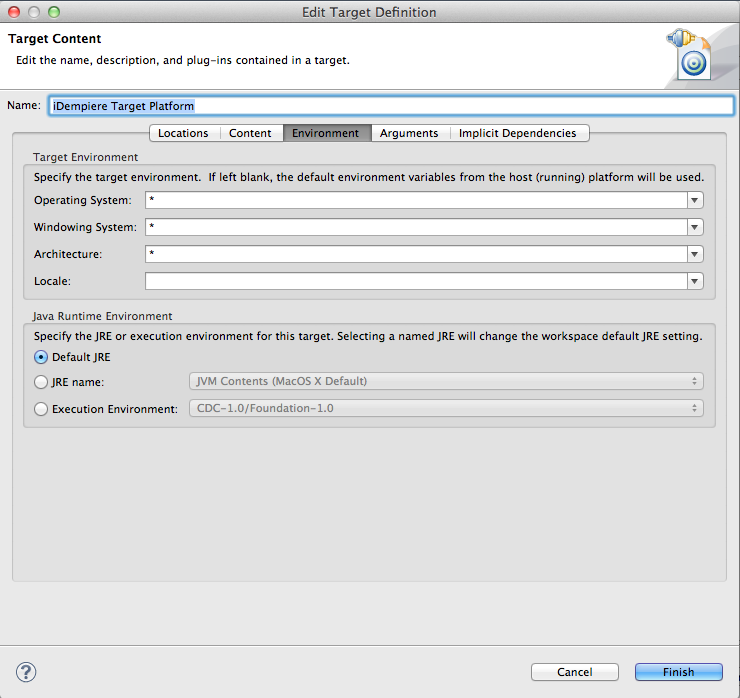 If you want to start the java client out of eclipse now you can do this by selecting the org.adempiere.ui.swing package and right click -> run as -> Eclipse application.